AS predicted, the warm, dry air forecast kept fire agencies busy yesterday. Several bushfires broke their containment lines and put communities at risk. The cold front has taken longer to move across the state than expected, which kept the fire danger elevated, well into the night in the northeast of the state. 21 fires are currently actively burning, with a total burnt area of 191,000 hectares to date. Last night, emergency warnings were in place for communities in the Huon Valley, Central Highlands and North West, but all have been lowered to Watch and Act this morning. Crews working on the Great Pine Tier, Riveuax Rd and Brittons Swamp fires worked into the night to protect properties and warn the public of imminent danger in the warning areas. The Riveaux Rd fire broken out into the Waterloo area. The fire at Brittons Swamp was burning in paddocks and farmland, resulting in a fast moving grass fire that was difficult to control. Smoke is likely to impact areas between Devonport and Smithton. The Gell River fire near Maydena was very active in the South-East corner. Property loss was highly likely, particularly in townships south of Geeveston in the Waterloo area. Impact assessments will start once it is safe. Impact assessments started in areas affected by the Great Pine Tier fire to provide TFS and the community an idea of damage caused by the fires so far. Several new fires started yesterday, with one starting from an unattended campfire at Dora Point, Binalong Bay. The TFS reminds people to ensure their campfires are completely extinguished by soaking, stirring and soaking them again before they are left unattended. 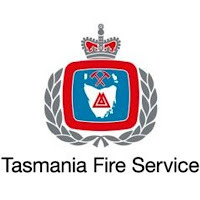 Fires in the open are prohibited on days of total fire ban, which was in place until 2am today in Southern Tasmania, Break O' Day, Dorset and Northern Midlands municipalities. Moving into the week ahead, weather conditions are forecast to moderate, once again allowing fire crews to focus on strengthening containment lines. If you do not need to be in the areas under an Emergency Warning or Watch and Act, then stay away. If you are staying to defend your property, monitor the conditions closely and stay alert as conditions can change quickly. 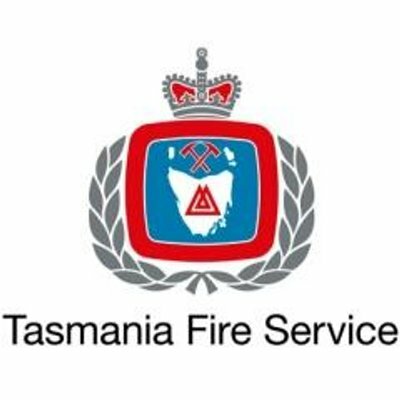 All parks and reserves to the west of Mt Field, and south of Huonville, including Mt Field National Park, the South Coast Track and Hastings Caves remain closed. PWS is reviewing the situation over coming days, and it is hoped that some reserves and tracks can be reopened next week but this depends on conditions. While the fire situation continues, PWS continues to urge people NOT to venture into remote areas. PWS compliance officers and rangers have been conducting regular patrols of campgrounds and day use areas. Campfire restrictions remain in place across all national parks, reserves and Crown Land statewide and PWS will be continuing with compliance checks.